The seven core practices shown above are foundational to student-centered coaching. 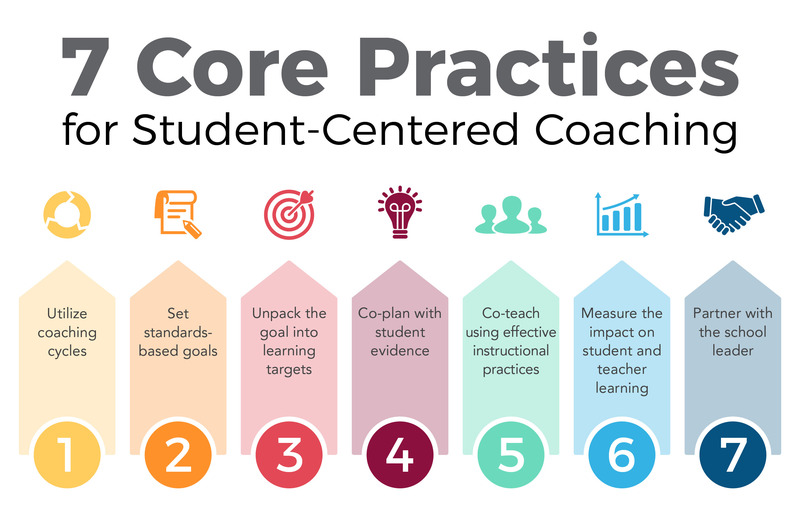 While these core practices have always been a part of our work, we now see them more clearly due to countless hours of implementing student-centered coaching in a variety of schools and districts. As you explore the content of Student-Centered Coaching, you will notice that we implement these core practices in a variety of ways, just like we would suggest you do in your own coaching work.